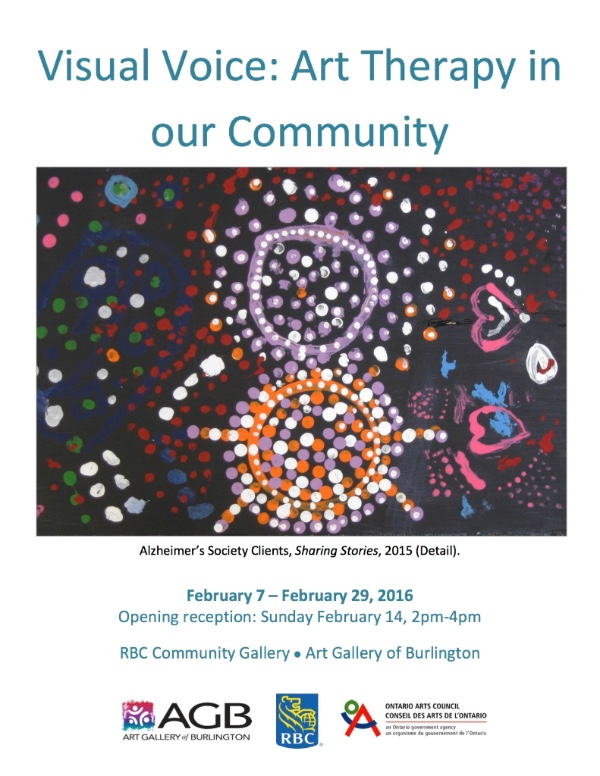 The Art Gallery of Burlington would like to invite everyone from HDSA (and all of your family and friends too!) to come to the gallery in February to see a brand new show that highlights artwork by kids of the HDSA. Throughout the month of February, the community gallery (located at the Lakeshore entrance of the AGB) will be highlighting art therapy in our community. Four organizations that have worked with Becky Hewis, the AGB's art therapist, will be highlighted - one of which is HDSA! The show runs from February 7- 29th. There will be an official show opening on Sunday February 14th from 2-4pm. The opening will run at the same time as the kids open studio session (a free drop in family event) where kids and grown up friends can have fun exploring art together. Join us on Wednesday, February 10th, 2016 to learn from Kim Wentrot, Dental Hygienist! PLEASE NOTE: We are opening up this session to all age groups, as the material will be applicable for babies and young children through to adulthood. This is a free information session, but we ask that you please RSVP to jen@haltondownsyndrome.com by February 8th, 2016. HDSA is thrilled to invite you and your friends and family to our annual WDSD Party. This is a huge highlight of our year and an extremely popular social event. We hope you can join us as we celebrate our loved ones with Down syndrome, and recognize some outstanding contributors to our HDSA community. Tickets sold out quickly last year, so gets yours today! The party will be held on Saturday, March 19th from 5-11pm at the Burlington Holiday Inn and Conference Centre. A buffet dinner will be served, and there will be music and entertainment to party to! The Elementary Age Peer Group is excited to announce that we will be running music classes through the Harmony Is Studio in Milton. The studio is located at 330 Bronte St S, Milton, ON L9T 7X1. There are two separate programs being run, depending on your child's age and comfort level. Below you will find a description of each of the programs. During this music program children will use their imaginations to enhance verbal skills, motor skills and social interaction, all through music. We will begin in a make-believe toyshop, and let our imaginations take us from there! Focus will include simple musical skills, such as playing the steady beat, changes in dynamics, and tempo. Verbal expression will be encouraged as children share their ideas and contribute to the musical 'story' that unfolds in the class. Children will have the chance to try a variety of musical instruments, and explore movement with ribbons, scarves and the parachute, in this fun and exciting music program. This fun music program will follow the interests of the group members, and will explore various ways of expressing ourselves through music. The classes will include a mixture of music activities including drum circles, music improvisation, simple songwriting, lyric discussion, and movement through music. Children will have the chance to play various musical instruments, engage in group and solo musical experiences, and enhance verbal and social skills. Led by a music therapist, this is a great opportunity for children to learn how to use music to enhance self-confidence, explore emotional expression, and have lots of fun!! Time to get social! THIS Saturday- January 23rd at 7pm at The King’s Arms British Pub in Oakville for our 19 Social Event! This event is for all HDSA parents and 19 VIPs. If you have a toddler and need a night out, if you and your 19 child want to attend - the more the merrier! This fun night out will give you the chance to connect with old friends, meet new friends, and catch up. There will be tasty food, as well as basic beverages (water and pop) provided. If you are planning to have an alcoholic beverage (of your own accord), please do not drink and drive! The King’s Arms is located at 323 Church Street in Downtown Oakville, and we are booked for the private room on the upper level. So come on out for an evening of fun, friends and fabulous food! Come join your fellow Graduates at Mountsberg Conservation Area for a Falcon Presentation and Bison Walk! Please arrive shortly before 2:00pm so we can start on time. At 2:00 we will have a Falcon Presentation and demonstration at the Raptor Centre. 2:30 will be the Bison walk. Please dress warmly and have appropriate outdoor footwear for the winter weather. 3:00 will be snack and socializing. The park closes at 4:00pm. Please respond to Allan if you will be joining and how many people are coming with you. We are happy to have Becky Hewis (Art Therapist) facilitating the weekly programs for HDSA again this year. Art Therapy will be running on Saturdays (Jan 16th - March 5th) from 10am to 11 am in the Photo Studio at the Art Gallery of Burlington. Parking passes will be available for all attendees. Each student needs to be accompanied by a parent/care giver and siblings are welcome! The Art Gallery of Burlington is a safe space where staff and youth volunteers are fully trained to understand the unique needs of individuals with special needs. This program encourages children to explore art making within the gallery setting, engaging in games and activities that are designed to meet their developmental level and integrates a very hands on approach to learning about art. HDSA is subsidizing the cost of Art Therapy, so we are charging just $20 per family. We would like to send out a HUGE thank you to Heather Gain for organizing the Art Therapy program this year. We are reaching out to HDSA families as there are 5 spots still available in a new program at Burlington Public Library for high school students. The program was developed by a teen group at Alton Library called TAB, Teen Advisory Board, together with their facilitator, BPL staff member Meritt Harnett. Their goal this year is to offer a program to strengthen friendships with kids from different high schools in the community. This month they will be starting a joint program called Fusion with the students from a local Life Skills program. Together the teens will participate in fun activities such as a Wii night, a games night, and an art night. If you child is interested in registering for this program, or if you have any questions, please contact Meritt at harnettm@bpl.on.ca . Copyright © 2016 HDSA, All rights reserved.